Save up to 50% to see All Shook Up at Planet Hollywood on your next trip to Vegas. No code needed to receive discounted tickets. Rates start at $39/pc before taxes and fees. All Shook Up is a popular tribute to Elvis Presley; the only one on the Strip that is All-Elvis, all the time! It’s like spending the evening with the King of Rock n Roll! This tribute is spot-on with the costuming, the voice, the band, the dancing, the hip gyrations, the lip curling, you name it, this guy can do Elvis! The intimate-size theater is perfect for the performance, and ladies, if you are in the front row, you might even get serenaded! Backed by a live band, Elvis sings his way through hits from Heartbreak Hotel to Suspicious Minds. This is a joyous tribute to one of the most consummate Vegas performers as well as the best-selling recording artist. From die-hard fans to youngsters who are curious about Elvis’ appeal, this show will be a memorable occasion. We can’t believe we saw a fantastic Elvis show in Las Vegas. So much energy. The Elvis, Travis Allen captured the King of Rock & Roll so perfect, my wife said it brings back memories. I wish I could give it higher than 5 stars. Really talented Elvis impersonator. It’s like seeing Elvis in an intimate club. Great show for Elvis fans This guy is spot on. We all loved the show. The young Elvis impersonator had a stellar voice. There was so much energy in the audience. The theater isn’t huge, but this was well worth the money. If you love Elvis, you’ll love this! My husband and I went during our stay and he’s always wanted to see a Vegas act. I thought seeing a Elvis impersonator would be corny, but to my surprise, it was really good! We knew all the songs and singed and danced a long. It was a great time. I wasn’t sure what to expect from this Elvis impersonator, they’re very hit and miss. This one, however, was a direct hit. It was like Elvis was performing right in front of my eyes. My wife and I sang and danced all evening, needless to say we had a great time. 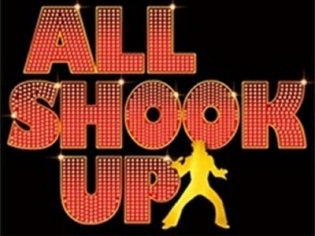 Everyone must experience All Shook Up at least once to see how The King really lived. Awesome show I really loved it must see if your an Elvis fan and if your not u can still appreciate this music.